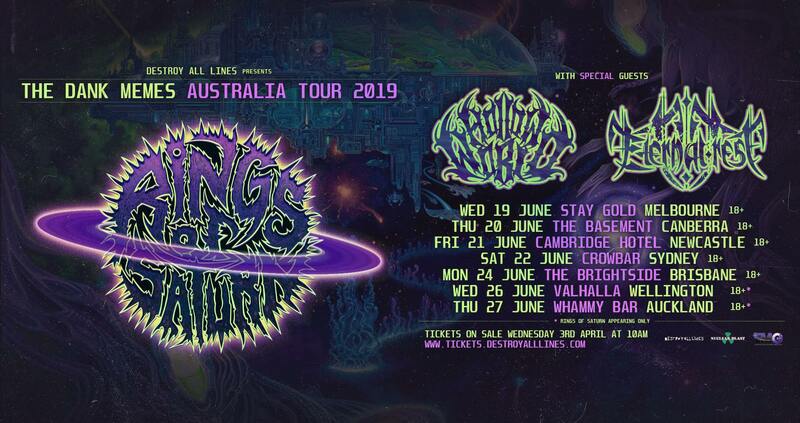 Self proclaimed Alien Death Core Texans, Rings Of Saturn have announced their long awaited and well over due first tour of Australia and New Zealand! 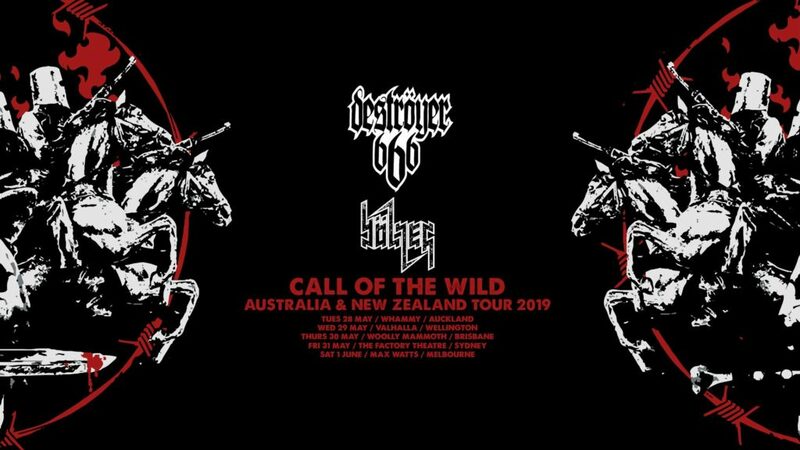 The tech-death specialists will descend on our lands in late June along with special guests Hollow World and Eternal Rest! Since self-releasing their debut album, Embryonic Anomaly in late 2009, Rings Of Saturn have built a huge global fanbase, touring non stop and releasing four albums. Their 2015 appearance on the US based Knotfest showcased their spacey melodies and galactic chaos to a wider audience than ever before and they haven’t looked back. 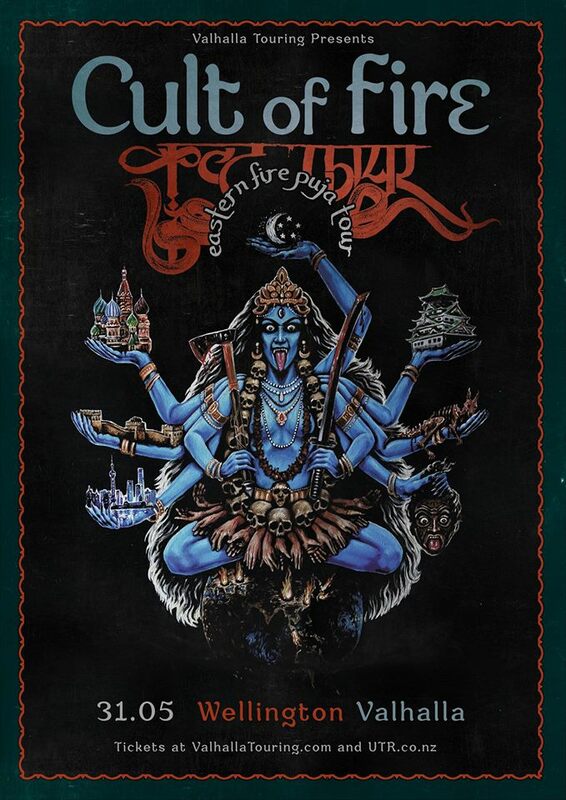 With more than 30 tours under their belts, its high time the band brought their acclaimed energetic live show to their southern hemisphere fans!The bands fourth album, Ultu Ulla, was released in 2017 via Nuclear Blast and combines ultra heavy chug and groove with eerie soundscapes, soaring melodies and enough oddball fusion to truly make it a celestial event!